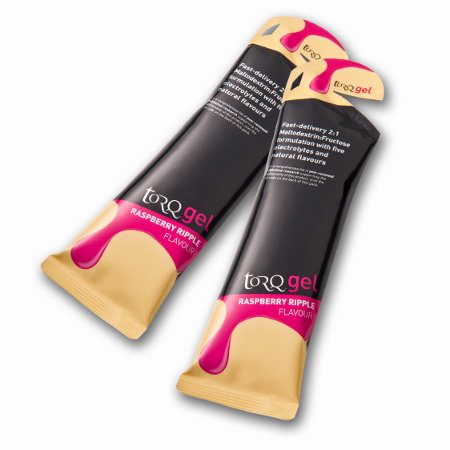 After much hype and banter over the last few weeks, TORQ’s new ‘Mystery Flavour’ gel is announced. So, as a consequence of much deliberation and head scratching we arrived at RASPBERRY RIPPLE ladies and gentlemen. We had a tough task on our hands to launch a flavour that could possibly rival the success of Rhubarb & Custard, but we believe we’ve gone one better! We’re sure that it will be an ongoing topic of debate and there’ll be some die hard Rhubarb & Custard fans out there who will refuse to accept that we could have possibly improved upon the perfect gel, but I guess there’s only one way to settle it – you’re going to have to give it a try. Another innovation that we’re currently rolling out across our entire gel range is the new ‘litter-free tip’ and the Raspberry Ripple gel is launching this concept. 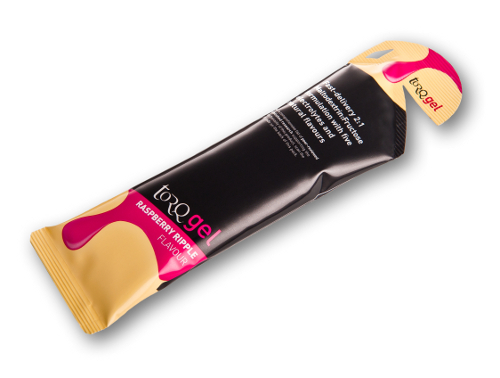 The way it works is that as the tip of the gel is torn off, a small strand of packaging keeps the tip attached to the main gel pack. This isn’t a litter solution, because it’s the users’ social responsibility to dispose of the packaging properly after use, but even the most well-meaning individual can lose a gel tip every now and then whilst on the move and this certainly nips that problem in the bud. 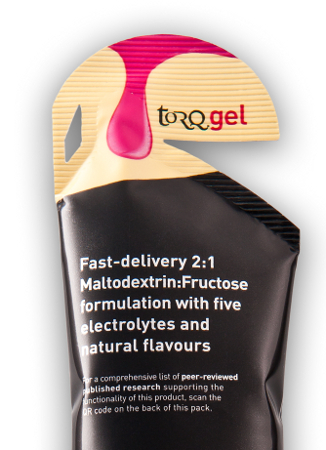 At TORQ, we will continue to innovate in every way possible to improve your experience of our products and our new flavour offering in combination with the new litter-free tip we hope provides a clear example of this commitment. Tell us what you think of the new flavour on Twitter.